ODTUG’s Technical Journal is an excellent place where you can find awesome technical content for free! You just need to become a member (create a free login at the ODTUG’s site). If you are not a member yet, I really recommend you to become one ASAP! 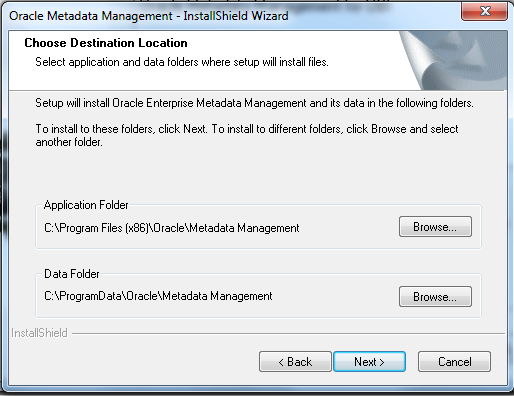 Oracle just released his new addition to their Metadata line of product, Oracle Enterprise Metadata Management or OEMM. Today we will talk about the Installation of the OEMM. By now, there is only a windows version of this product. This is the first indication that this product should have a new version very soon, probably with the option to deploy it in weblogic and make it more “Enterprise”. After download, open the Zip file and double click the .exe file on it. After this initial setup we need just to wait it to finish. 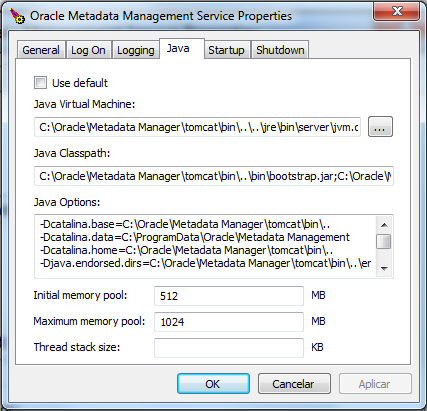 With the Installation done, you can configure the service (If you want to change the User that the server will use or the java memory settings or any other motive you could have) or just start the service as is. 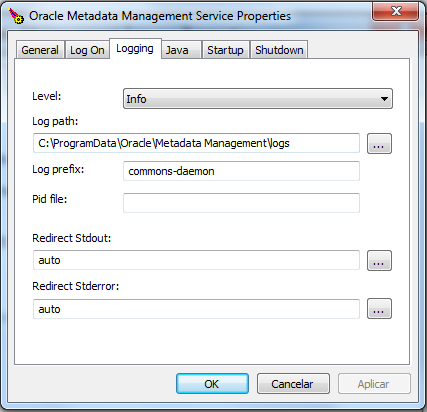 In the oracle documentation (after installation, you can find it here: INSTALLATION_FOLDER\Documentation\ReadMe), they have a database preparation that should be done before to attempt to create the repository. 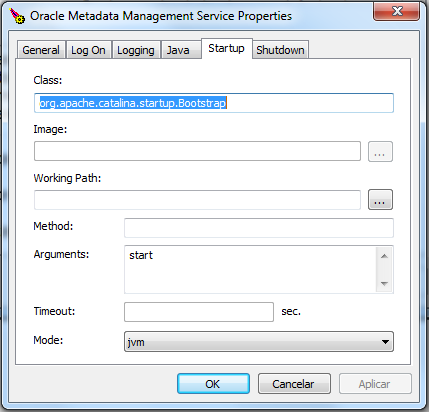 Or log into the Oracle Enterprise Manager as SYS. Then go to “Server”, then “Users”. Select the user MIR and “Edit”. Go to “Object privileges”, select object type “Package” and “Add”. Type in CTXSYS.CTX_DDL, and add the “EXECUTE” privilege. Then click “OK” and “APPLY”. 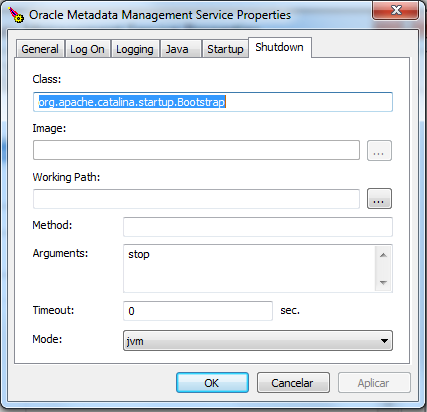 Or log into the Oracle Enterprise Manager as SYS. Then go to “Server”, then “Users”. Select the user MIR and “Edit”. Go to “Object privileges”, select object type “Package” and “Add”. Type in SYS.DBMS_LOCK, and add the “EXECUTE” privilege. Then click “OK” and “APPLY”. The database schema “MIR” should be automatically created as a side effect of creating the user “MIR”. We just created a User MM_REP and grant it a DBA rights. Also, we had to grant execute to the DBMS_LOCK package and to CTX_DLL. 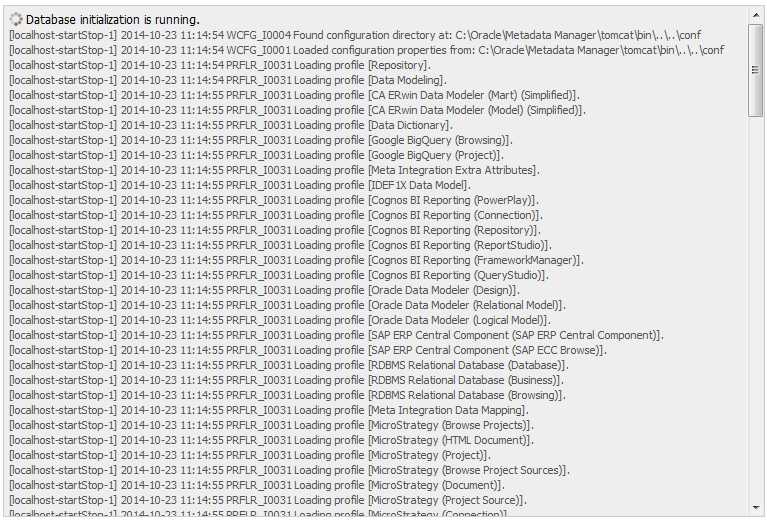 Because some reason the sql that should delete this objects are not working. 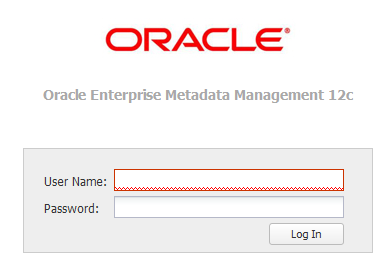 That is it guys, the Oracle Enterprise Metadata Managing is installed, up and running. Now we are figuring out what it does and what it is good for. Soon we will write another post about that but as far we played along, we may guarantee that it does not replace DRM and in fact it has nothing to do with it. 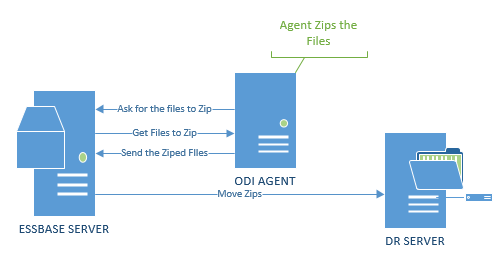 OEMM is all about metadata governance, how your metadata is connected between the processes and what is the impact when you need to change it. Thanks guys, I hope you enjoy it. See you next time. Second, because it took me 2 days to understand what was the OWB migration and how to do it. Third, I searched the entire internet and did not find any complete step-by-step tutorial about it. Probably because the Migration happens to be the database migration not the OWB migration. Before I start, let me talk a little about my infra. As I said, I hate infra and I am not good at it then please consider this post as a tentative to help people and not an absolute truth coming from an expert or something. Because I hate infra, I tried to make mine the best it could be (or at least, the best I could make it). This is a cheap machine (even in Brazil that everything is expensiveJ). I only upgraded it with 32 gb of memory and by now has only one HD with 1 Tb (I have more HD in my drawers But I’m not needing it by now). 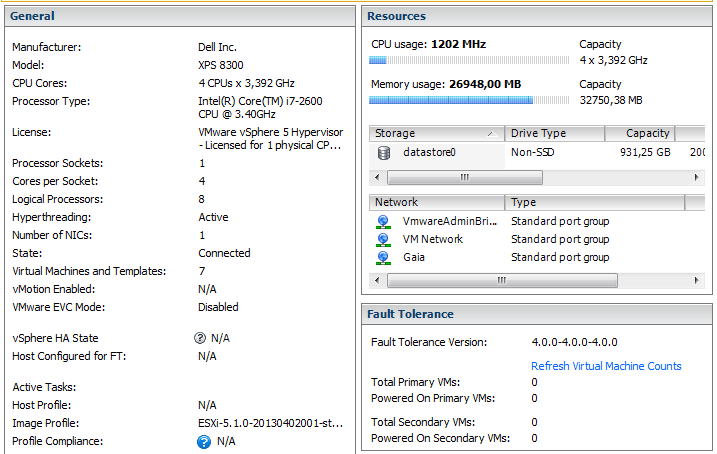 For this server I installed in a 1 Gb pendrive the VMware ESXi 5.1.0. This is a good tip, the ESXi is by far (and I mean lightning years far) the best virtualization software in the market, and for a server with max 32 Gb memory, it’s for free. I have six VMs up and running all the time in this server. Never had any performance issue, in fact they are a lot faster than the servers in some of my clients are. Of course, I have a clean installation of everything. By the name of the machines you guys could figure out that I like old mythology J and I’ll explain the infra using it. First we have Cerberus, the hell hound that has a zentail installed on it to protect the entrance of the hell realm. Also it’s used to external access, VPN, FTP and DNS. Then we have Tartarus, the realm of the dead’s, and also what supports the earth (or gaia that’s the name of my extra net). This is an oracle 11g Database, because all the repositories are on it. It is the base for everything. Also I have Niflheim, that’s almost the same thing but for the Nordics. 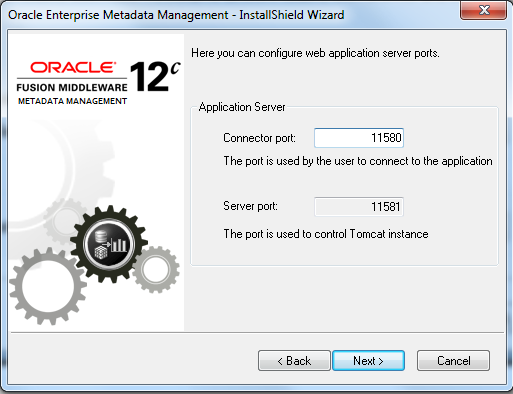 This is an Oracle 12c database. There are Golden gates running between both databases for replication and test proporses. After that, I have Olympus, where all the foundation, planning, eas server and reports are installed. Then we have Pantheon, which is on top of Olympus, where OBIEE and Endeca is installed. All these machines are running on top of Oracle unbreakable Linux OS. In the end, we have Hyperion, which is a Windows server 2008 R2 machine where I have only Essbase and ODI agent installed. Why I did that, because both tools heavily use the file system and using windows make everything a lot easier to access, configure, and work with. Also, I found in an old version of Essbase (11.1.1.3) that some ESSCMD commands doesn’t exists in Linux, like “deploy studio” command. I had a client that had to migrate the Essbase to windows because this and some performance issues. However, the thing was the file system and I installed some clients in this machine this way my friends needs only my VPN and a terminal Server to access this machine and make some tests. Enough about my infra and let us talk about the migration. First of all there’s no OWB migration. 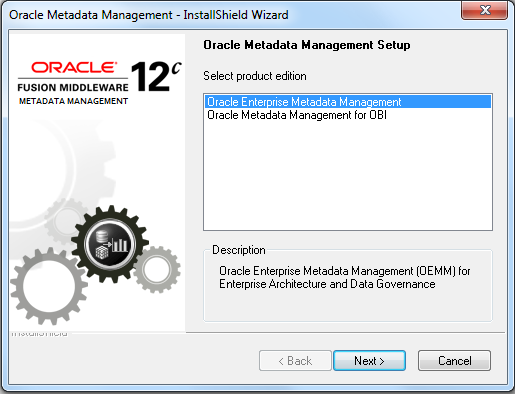 OWB is not like ODI that you need just to get/patch of a new version and update the repository. For OWB you need to upgrade the entire database, and then you can connect using your new client (and if you use windows, you will not have the client in the same version of the repository. However, we’ll talk about this later). 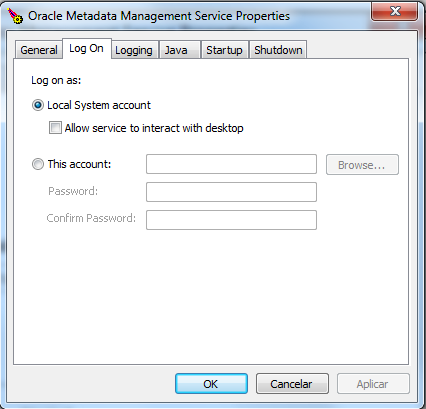 Ok, sinceI do not like to have many oracle homes in my server I decided to do an “In-Place” upgrade. Upgrade is a strong word for this because it is an installation from the scratch not a patch or something. If you have any type of Virtualization now is an excellent time to create a snapshot from your database. Thanks God I did that because he knows, I needed. Ok, after try a lot of stuff and commands that never worked I did it in my way, and worked, then please if someone see something incredibly ugly (and maybe I’ll not know that it was an ugly thing) please let me know. This will make the oracle installer believe that he will be the firstJ. After that you need just to rename the dbhome folder or the version folder, anyone will do the trick. Renaming the folder will remove any need of backups because everything you need will be there. Cool, after these two-steps you can install the DB software. Make sure to install only the software. The DB we will migrate later on. I will not cover the installation here because even I did not have any issue with that, and, there are many tutorials that cover the installation in the internet. Basically you need only to click in next and remember to select software only. That is all. Ok, after the software install we need to copy some files from the backup that we did when we renamed our previous directory. Doing that you have the initialization files from the old db in the new one. That’s it. 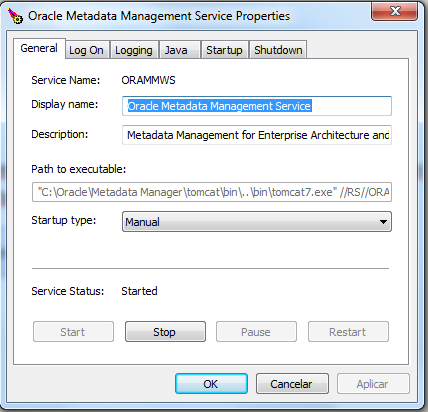 Everything I did to upgrade the Oracle database in place. As I said, I am not a DBA and probably if a DBA read this post he will laugh, a lot, but it worked and it was the only way I found to do it. That is it. You database is upgraded, your client is upgraded and you need only to upgrade the OWB repository. I will not cover this here because this can be found in the internet easily. That is all. I wish you guys found this useful and until next time. Thank you.